Since concrete is the most durable material compared to plastic and fibreglass it lasts longer in comparison to others. This makes concrete a perfect choice for commercial water tanks. Also, concrete does not rust or corrode like steel, therefore requires minimal maintenance. Even when there is a crack in the concrete tank, it can easily be repaired by draining the water. Concrete water storage tanks are the ideal solution for keeping the water cooler during summers. Unlike plastic, concrete does not heat up and is an excellent thermal buffer, keeping your water cold throughout the year. Since people like drinking cold water, concrete helps keep the temperature of a water cooler, so it is comfortable to drink. The cold and dark environment of a concrete water tank also prevents the occurrence of bacteria; thus, the water remains hygienic and safe to drink. Commercial concrete water tanks are in high demand if you live in an area that is prone to bushfires. This is because concrete is able to withstand the bushfire. Concrete water tanks can bear the load well which means you can install them under your driveway. 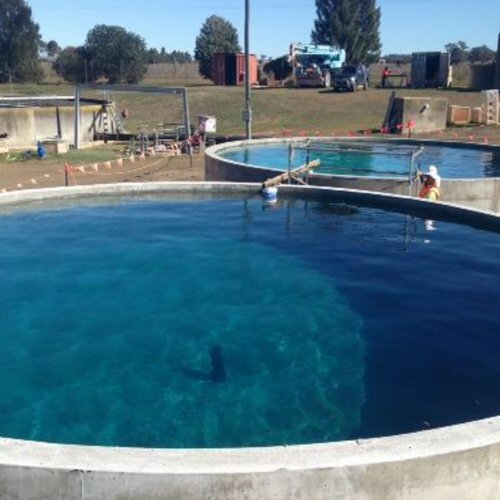 Get in touch with Bega Concrete Tanks if you are thinking to install a Commercial Concrete Water Storage Tanks or for your residence. Our team is fully equipped to cast the concrete water storage tank on site or manufacture in our factory and then install onsite. Give us a call at 1800 241 246 to book our services or send us an email to get a free non-obligatory price quote.